Tips on home organization to help clear out the junk and bring more time, energy and money to your life. Do you have clutter in your life? 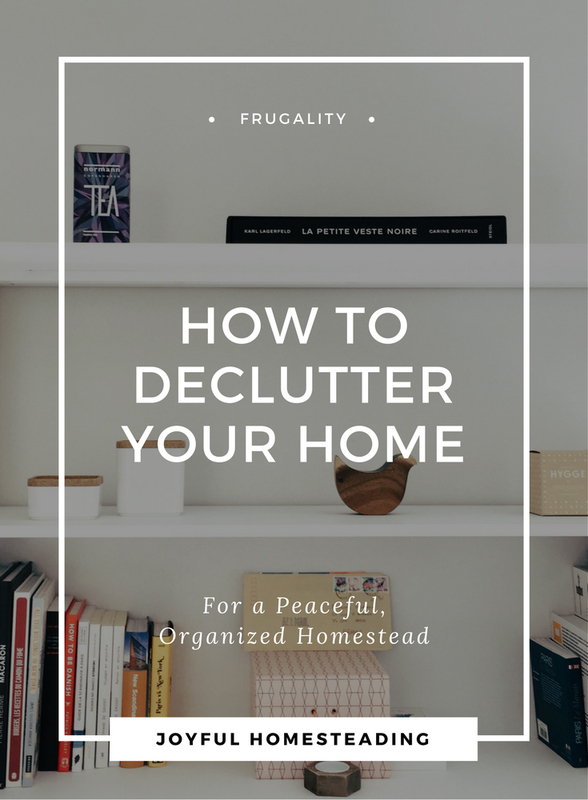 Is it time to clean out the junk and bring organization to your homestead? If you're tripping over piles of magazines on your way to the kitchen or have so much stuff on your kitchen counter that you can no longer cook anything, it may be time to clear out the clutter. Not only are all those boxes of beads, piles of socks, and half-empty bottles of cologne annoying, but they're costly. How many times have you started to wrap a package and ended up spending thirty minutes looking for the tape? Do you have to spend time cleaning the floor before you can vacuum it? If so, then all that clutter in your house is costing you valuable time. That's why these tips on home organization are so important. Your Your time is a precious resource. Don't waste it wading through clutter. 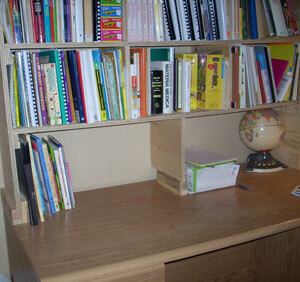 Also, have you ever thought about the space all that clutter takes up? The closets in your home are prime real estate. Why waste it with clutter? Even worse is when you keep things in a storage building. Now you're paying extra just to store stuff! Then there's the cost of moving it and guarding it from thieves. 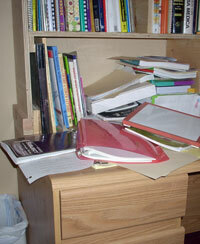 Even worse, clutter can be dangerous. Children can get hurt playing around old appliances. You can trip and fall over all those needless things. Even worse is the stress - a major factor in illness. Why pay such a heavy price? An excellent book on the subject is Clutter's Last Stand by Don Aslett. He recommends gathering together three large garbage bags and also a big box. Label the three bags Junk, Charity, and Sort. On the box, write Emotional Withdrawal. The Junk Bag - Put in anything that's no good. If it's broken, out of style, missing its mate or otherwise useless, it's junk. Throw it away or recycle it. The Charity Bag - Put anything that can be repaired or would be useful to someone else. Maybe it doesn't fit, or it's the wrong color, or you just don't like it. Give it away. The Sort Bag - Put things you want to keep but don't know where to put. Set this aside and then sort it again in a month. The Emotional Withdrawal Box - This is where you'll put that teddy bear you loved in the first grade, or the dress you wore on your first date with your hubby that's completely out of style and doesn't fit anymore. The sentimental stuff you've been hanging on to for way too long. Put it in the box and seal up the box. If you haven't found a need for anything in the box, throw it away after six months. Painful, but necessary. Buy a new dress and make hubby take you out for another date. If it's obsolete or broken and can't affordably be fixed. It doesn't fit or doesn't look good - doesn't matter if it's good quality if it's just taking up space. It's more of a hassle to use it than it's worth. The world's not going to come to an end if you don't see it again. Just looking at it makes you feel awful. A major pain to clean, store and insure, and all that hassle just ain't worth it. Your children are dreading the thought of inheriting it. Be honest with yourself! If you can say yes to one of more of the above, it's...junk! Get rid of it! Is it necessary for me to make a living? Will it do something I need to get done? Does it give me back more than it takes? Are my children fighting over who gets to inherit it? If you can say yes to one or more of these questions, you should probably keep it - or give it to Junior.